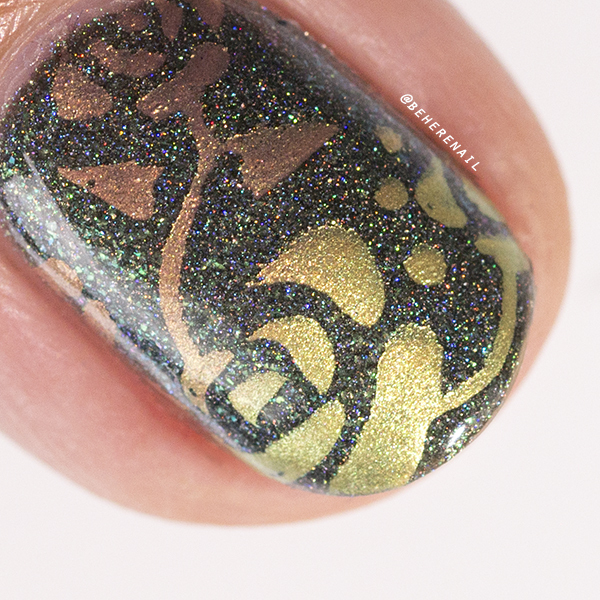 Beautometry also sent me another awesome plate from Decor Unhas, and I just have to say wow. 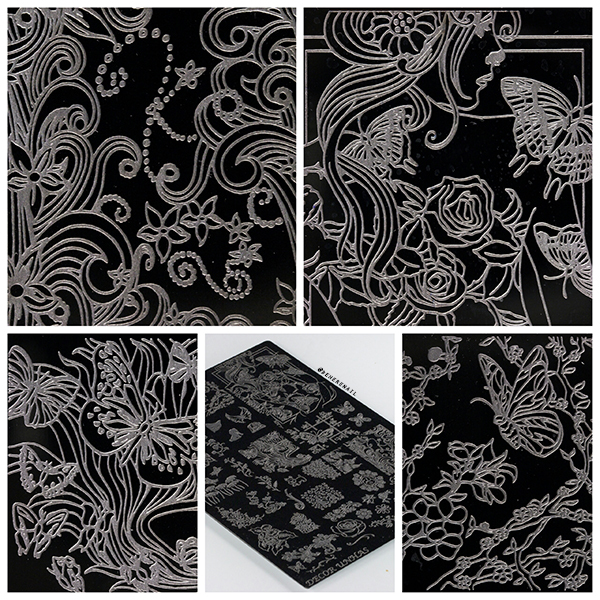 Romantica 2 is a massive plate covered in butterflies, art nouveau magic and tons of flora! Right up my street, I took a few photos of my favorite designs. The plate measures a whopping 5.25 by 7.5 inches with most images measuring about 1.25 by 1.5 inches, quite large! 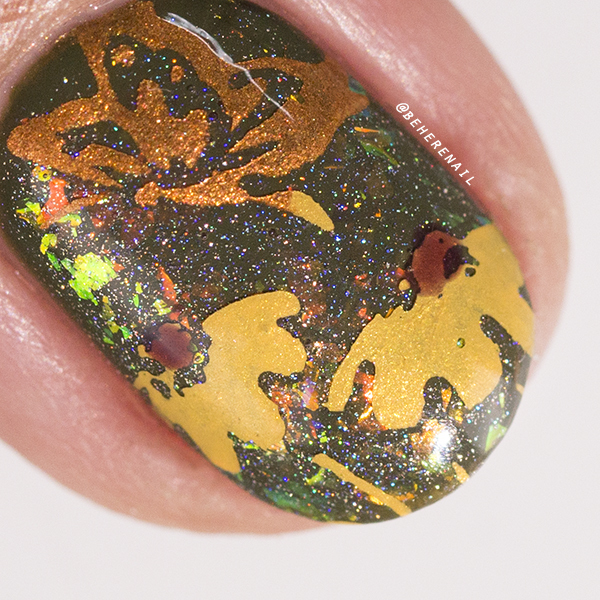 The best part for me, though, was that I could use various pieces of one large image over all my nails and get a great mani out of it! That's what I did for this first look! 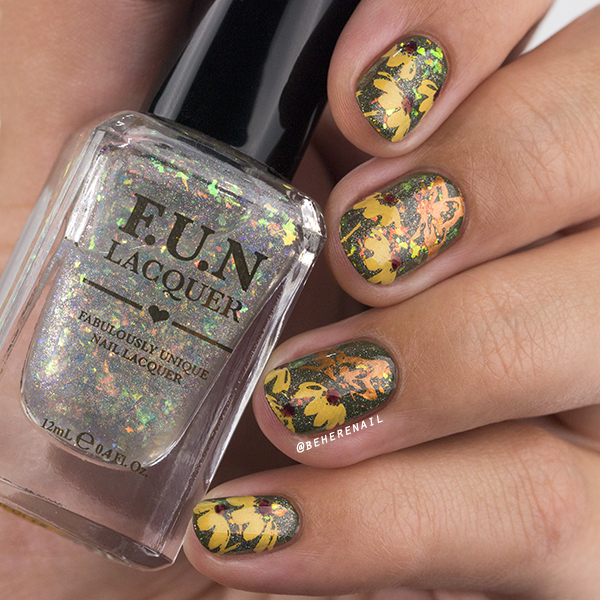 I started with an olive green base and used the beautiful holo flakie topper, Magnificent (H) by Fun Lacquer to create a 'field of flowers' looking background and stamped these black eyed susans and butterflies using Hit The Bottle The Yolk is on You and Burnt Orange. 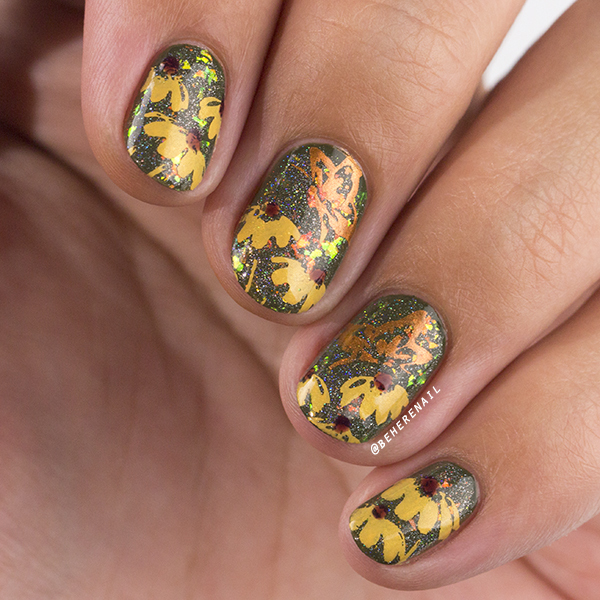 I dotted the centers of the flowers with Zoya Katherine to give them some dimension. This is a really busy look, but I love it anyway. Fear not though, if it's a little much for you, my next look is a bit more tame! 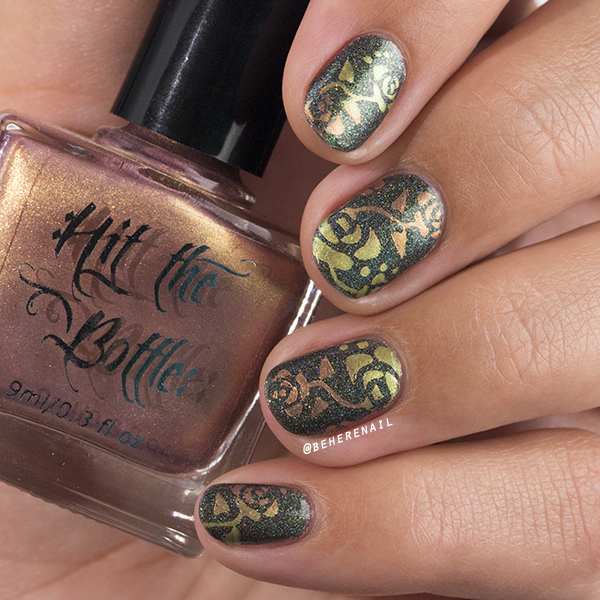 I used two more Hit the Bottle polishes over Powder Perfect Borders of the Forest in a lovely gradient stamp with these beautiful roses. These are two shifty shades called Be-cider Self and Champagne Shifter, both have a lot of dimension due to the unique pigments. 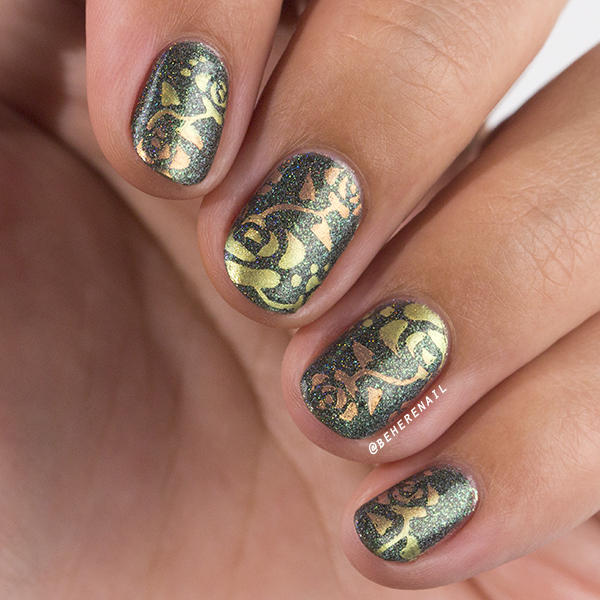 I've got to say I really love the Decor Unhas plates that Beautometry has sent me so far, Romantica 2 is especially versatile and fun to use! 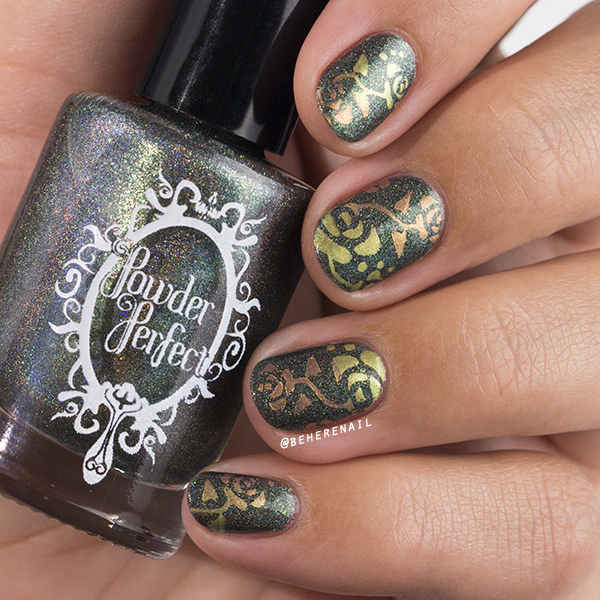 I will be doing a follow up post using this plate really soon, so look out for more beautiful images. In the mean time, this plate is on sale for $7.00 this week at Beautometry, and you really can't beat that value for these amazing images so check it out if you can. I can't wait to share more with you! So beautiful and so tempting! !